01/07/2019 08/06/2016 by Andy Z. Cleaning your Chromebook isn’t as difficult as you’d think it is. It’s easy. Seriously. You may be confused about what cleaner to use, or what cloth to use, or how to clean the screen, or how to clean the USB ports, or how to clean underneath the keys, or just how to go about cleaning your Chromebook. I’ll show you how to clean it in a straightforward and easy to understand way. This guide covers the most basic cleaning techniques all the way to advanced methods. Last updated: 1/7/19. This guide is constantly being updated so you get the most accurate information on keeping your laptop squeaky clean. Ready to clean up your Chromebook? It covers everything from just cleaning the Chromebook laptop keyboard, trackpad, and body, all the way up to cleaning the Chromebook’s screen, under the keys, and even the power and USB ports. This is a complete guide to cleaning your Chromebook laptop, and I know that you may not want to do a full cleaning. Feel free to skip around and clean just the part that you need. But be sure to read the preparations and precautions on each section. If you decide to do a complete cleaning, I suggest you follow the steps in order. Make sure you clean the Chromebook’s screen last because it’ll get dirty from all the other steps. This button. Press it and hold it to shut off your Chromebook to prepare for cleaning. No matter what part of the Chromebook you’re cleaning, make sure you follow these prerequisite instructions. This entire guide is written for Chromebooks specifically, but may also work on Windows or Mac laptops as well. If you don’t own a Chromebook and you’re using this guide, please take caution and know what you’re doing so you don’t damage your laptop. If you’re using one of these laptops, you may want to switch to a Chromebook. I know, that’s probably not what you came here for, but you may want to check it out regardless. It just may be the best decision you’ve made about computers. I wrote an article about my personal experience with Chromebooks and another article about the benefits of Chromebooks over Windows computers. Both of these articles are based on factual data and personal opinion- a slight mix of the two. Check ’em out if you’re interested. Even though all Chromebook models are pretty similar in build, there are always exceptions. Some models are very different from others depending on who built them. This guide was written in a way so that directions apply to the general majority of them. Yours may be unique, so it’s important to think about whether or not you should attempt a particular cleaning process. It’s almost important that you take proper precautions when you clean. You’ll be working with electrical components and small parts that are easily damaged. And they also pose a shock and electrocution hazard. So be careful. Note: Some of these instructions may not apply to your specific Chromebook model, so exercise extreme caution. Use your own best judgment before attempting any of these procedures. I assume no responsibility for any damage caused in any way. Do everything at your own risk. Please use your best judgment. Good. Now that we got all of the precautions out of the way, let’s move forward to the next step on getting your Chromebook like new. Step 1: Completely power down the Chromebook. Turn it off completely by holding down the power button in the top right corner. Don’t set it to sleep or hibernate. Shut it off completely and make sure it’s off. Step 2: Remove any connected peripherals attached to the Chromebook. This includes USB devices, such as a mouse, keyboard, USB drive, external hard drive, power cable, etc. Make sure there is nothing still connected to your laptop. Step 3: If your Chromebook has a removable battery, go ahead and carefully remove it. Most Chromebook models don’t have a battery that can easily be removed, so you can skip this step if not. If you remove it, make sure you do it properly. There’s a specific process and it’s different for every model, so don’t go pulling it out. And be careful of electricity. Take precaution. Cleaning your Chromebook’s keyboard is probably a wise idea as it gets the most traffic from debris from your fingers. Let’s start with cleaning the keyboard, as this area gets the most traffic and dirt from your fingers. Cleaning this will improve the feel of your laptop as you type and make the most impact. Are you ready? Let’s clean up. Step 1: Use a dab of isopropyl alcohol on a semi-abrasive cloth if your keys are noticeably dirty. You can use a terry cloth or towel for this purpose. If your keys aren’t that dirty, use a microfiber cloth as it’s much less abrasive and safer for your keys (you don’t want to scratch the paint off your keys). Isopropyl alcohol (also known as rubbing alcohol) is cheap and can be found in any convenience store. Step 2: Use the cloth of your choice and slowly, but firmly, go over your keys in a circular motion per each key. Use a firmer motion on dirty keys. The debris should slowly come off. They should stick to the cloth pretty easily. Gather the dirty bits and take them off of the keyboard. If they fall into the cracks between the keys, that’s fine for now. But try to avoid it as much as possible. Try to remember which keys have debris that fell between them. Apply more isopropyl alcohol as needed. Don’t worry about the alcohol getting in between your keys too much. It’s not really harmful to electronics by nature, but that doesn’t mean you should be spraying tons of this stuff all over your keyboard. Step 3: After all the keys are cleaned, let it sit until completely dry. This should only take a few minutes as rubbing alcohol evaporates quickly at room temperature. Next, we’ll clean underneath the keys. 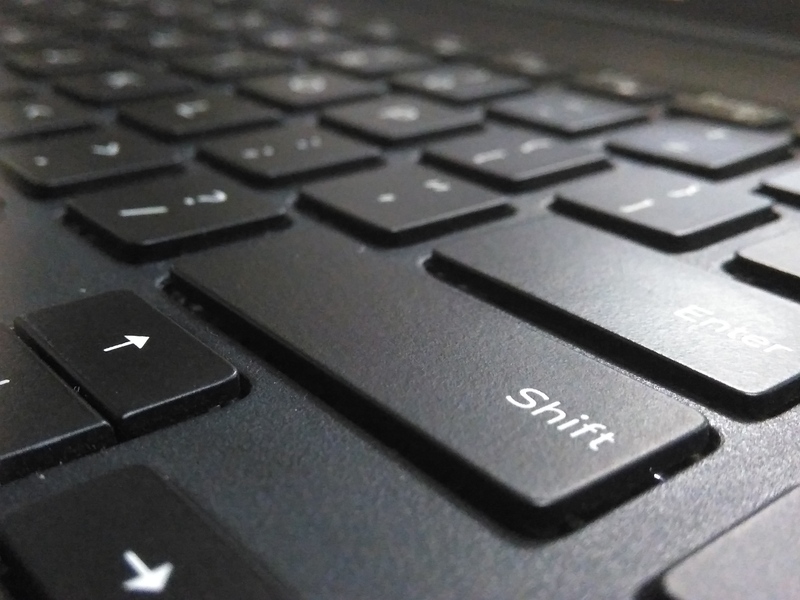 You can skip this step if you feel that your Chromebook’s keyboard is clean. Note: This step is risky and if not properly executed could cause damage to your keyboard. Only proceed if you’re familiar with key removal. Another note: Every Chromebook manufacturer has their own way of building a keyboard. These instructions are a general guideline and may not apply to your specific keyboard. Be careful. You may end up breaking something. 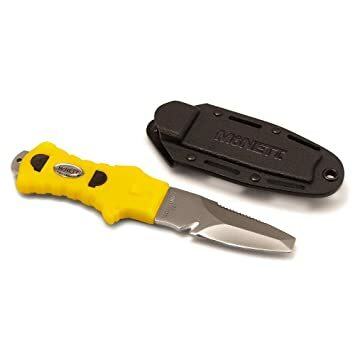 Step 1: Use the blunt blade or screwdriver and carefully stick it under each key you think there’s debris hiding under. It’s important to carefully wedge it in from only the proper direction. Each key is held by a retainer clip that’s usually on the bottom of the key. If you’re looking at it from above, it’s at the 6 o’clock position of the key. You want to attack the key from this position slowly. You can tell which keys are dirtier than other by simply looking between the cracks, or from your cloth cleaning above. Typically, the keys that were dirtiest will have debris under them as well, or the keys that you saw debris fall into when you were wiping them. Any blunt blade will easily pry off the keys of your Chromebook for cleaning. Step 2: Pry out the keys very carefully and store them somewhere safe. Do this by inserting the blade tip at the proper angle and then “scooping” out the key. Note: Be extremely careful. It’s very easy to break something here and you should only do this if you’re comfortable. You need to slowly insert the blunt edge until it stops. This is usually just about a centimeter in. Afterwards, slowly lift the blade upwards and the key should easily pop out after a bit of resistance. Each key has 3 pieces to it- the cap, the retainer, and the rubber spring. See this for a detailed breakdown. All you really need to remove is the cap. Leave the other parts alone. If you happen to remove them by mistake, see the videos at the end of this section for reinstallation. Note: It’s very important to do this at the right position (as mentioned above). If you feel like the blade isn’t inserting or hitting something, you should stop and attack from another position. You may have to practice a bit to get it right, but it shouldn’t be too difficult. Be careful not to insert the blade too deeply, or else you may damage the chip below the keyboard. The keys will pop out as you pry them, so be careful of your eyes as well. Step 3: Use the compressed air and gently spray where the keys used to sit. Don’t hold the can upside-down. Instead, tilt it and spray it. You can also try tilting your Chromebook as well to get the debris out. If you find a stubborn piece, use a pair of tweezers to safely remove it. Note: There have also been arguments against canned air all over the web stating that it may lodge debris further into the laptop. This is completely true and is a drawback of using this stuff. If you’re worried and don’t want to take the risk, use tweezers instead. 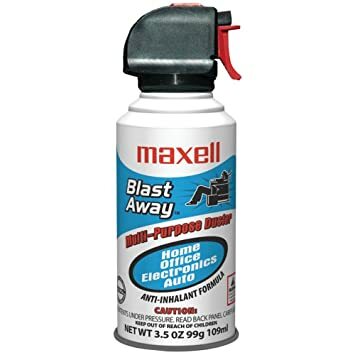 Canned air is readily available from any electronics store and works wonders cleaning your Chromebook’s keyboard and other crevices. Step 4: Place the keys back onto the keyboard. Don’t force it. If it doesn’t snap, you could be placing it incorrectly. Try adjusting your angle to where you push directly down. The keys should snap back into place without much force. Give your keys one last wipe with your cloth to remove any remaining dust, debris, or other nasty stuff. The trackpad of your Chromebook will get dirty and littered with debris, just like the keyboard. It’s easy to clean with isopropyl alcohol. Cleaning the touchpad, or trackpad, is pretty easy and straightforward. It’s probably the second-most dirtiest part of the Chromebook, right behind the keyboard. But, that depends on your browsing habits and what you use your Chromebook for. If you’re a productive task-doer, you’ll probably have a dirtier keyboard. If you’re a video-watcher, you’ll probably have a dirty trackpad. Let’s get that trackpad clean and new. Step 1: Dab the cloth into isopropyl alcohol. Depending on the debris on your trackpad, you’ll want to choose the proper cloth for cleaning. A rougher cloth will clean tougher debris, but don’t go crazy and use something too abrasive. Think: bath towel. That’s the most abrasive surface you should use. Step 2: Wipe gently, but firmly in a circular motion along with the surface of your trackpad. It should “click” as if you’re clicking it while you wipe so you know you’re firm enough. Use more isopropyl alcohol as needed. Don’t be afraid if it gets in the crack around your touchpad. It’ll evaporate by itself. Just don’t go overboard with it. Step 3: Let it air dry. No need to wipe. The solution will evaporate by itself and leave no residue unless your keys were extremely dirty. If so, go ahead and wipe. Store the isopropyl alcohol as directed by the manufacturer. Your Chromebook’s ports will gather dust and debris but can be cleaned easily with canned air and a damp cloth. The ports get dirty and collect dust and debris due to the heat generated from your Chromebook. The dust gets sucked in like a magnet. Although the dust won’t really harm your Chromebook nor alter the performance, it still extremely annoying to us clean freaks- and I’m one of them. Thankfully, cleaning the dust out of the ports (USB, power, headphones, SD cards, Kensington lock, other locks) is easy. Step 1: Use the isopropyl alcohol on the cloth. A microfiber or other non-abrasive cloth will work fine.Just use a dab so it’s nice and damp. Just use a dab so it’s nice and damp. Step 2: Spray the port with the air. Dust and debris may come flying out. Let the big chunks fly out. The small and fine particles will stick to the Chromebook or surface of the port. Step 3: Use the damp cloth and wipe the port after you spray it with the compressed air. This will pick up any loose particles hanging on the edge of the port. Don’t stick the cloth into the port. The moisture can damage the port. Step 4: Let the ports air dry. Don’t use them or insert anything until it’s completely dried. You don’t need to wipe them out- the solution will evaporate by itself. Store the isopropyl alcohol and air as directed by the manufacturer. The body of the Chromebook is the most noticeable, especially the lid. Keep it clean with regular cleanings. After moving your Chromebook around for the mobility, it gets dirty. Not to mention, you probably don’t always have clean hands to carry it around. Cleaning up the dark spots is easy. Step 1: Dab the cloth into the isopropyl alcohol. Just use a moderate amount. If it’s dripping, let it drip until it stops before you start cleaning. Too much isopropyl alcohol can damage the laptop if it gets into the frame. Step 2: Wipe the exterior of the Chromebook. You can safely wipe the lid, bezel, and body with no worry, as the isopropyl alcohol won’t damage the finish of your Chromebook. It may spread the debris around if it’s that dirty. If so, apply more isopropyl alcohol and wipe with a clean part of the cloth. Repeat as needed. Step 3: Let the Chromebook air dry. You don’t need to wipe it down or anything. It’ll evaporate and leave no residue unless the residue is dirt or debris. Store the isopropyl alcohol as directed. You’ll need a special cleaning solution to clean your Chromebook’s screen. You can get this stuff at any retailer that carries laptops or computers. Make sure it’s safe for screens and that’s the sole purpose of the cleaner. All-in-one solutions generic cleaners may not be safe for your display and may leave streaks or damage it. Get something that’s dedicated to cleaning monitors and screens. 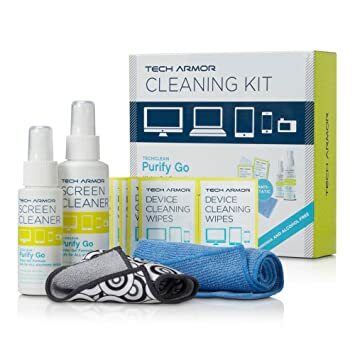 Cleaning kits come with everything you need to make your Chromebook’s screen clean and like new. Some products are designed just for this purpose and will clean your device without harming it. If you have any good kits, let me know in the comments. For this part, you’ll have to follow the manufacturer’s directions. Use a microfiber cloth and apply the solution as directed. Clean as directed. You should do this step last, as the screen is the most visible part you’ll be starting at when using your Chromebook. If you do this step first, you’ll probably get debris all over it from the other steps. Don’t use normal soap or isopropyl alcohol to clean your Chromebook’s screen. It’ll likely leave streaks or damage it. Also, don’t use water. It’ll probably just spread the dirt around and leave streaks when it dries. If you’re on a budget (or you’re handy0, you can make your own screen cleaner solution. You can make it with basic household chemicals and a microfiber cloth. Is your Chromebook clean yet? It should be sparkly clean- just like new. Well, there you have it. A complete guide to cleaning up your Chromebook. If this guide has helped you, please consider sharing it to another avid Chromebook fan. Got any cleaning tips? Share them in the comments and let’s clean up. Thank you Andy for your expertise advise. Simple and inexpensive. My Asus is fairly new and Im determined to not let it get to the point of no return by following your easy advise…. No problem Rita =]. Let me know if you have any other questions! No problem! That’s actually why I wrote this guide in the first place- my Acer was horrid with fingerprints, dust, and dirt all over the keyboard and screen. Let me know if you have any questions =]. Broke a key trying to pry it off like he suggests.